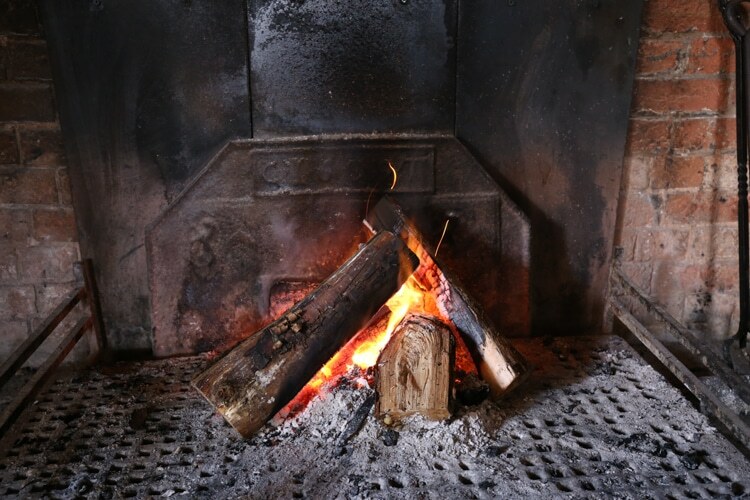 On a cold winters night, there’s nothing more welcoming than a warm cosy fireplace so you can settle into the warmth. 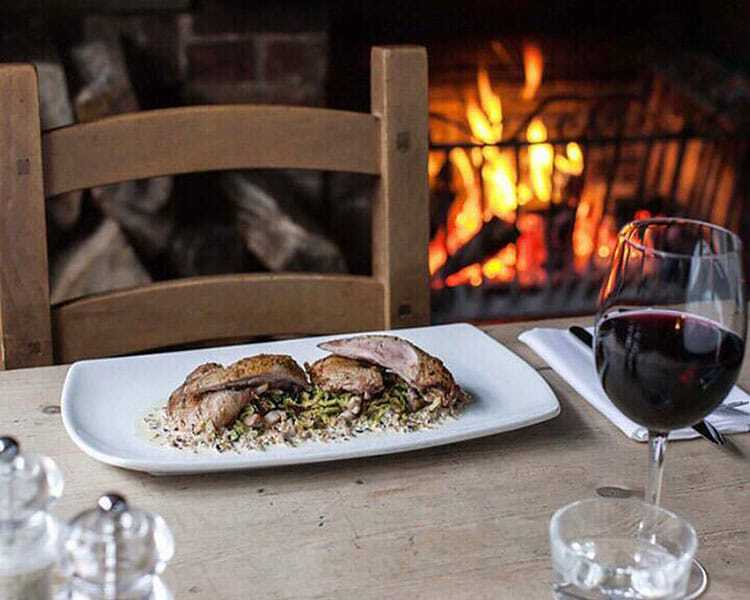 Here is our selection of pubs and restaurants across Brighton, Hove and Sussex which offer a nice cosy fireplace. 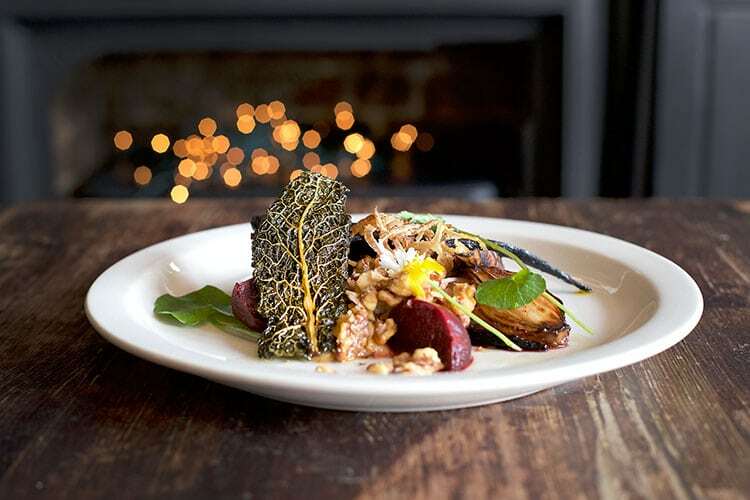 The Chimney House Brighton is situated just north of the Seven Dials and the Old Shoreham Rd and east of Dyke road and it is nestled in a lovely little neighbourhood on Upper Hamilton Road in Brighton. 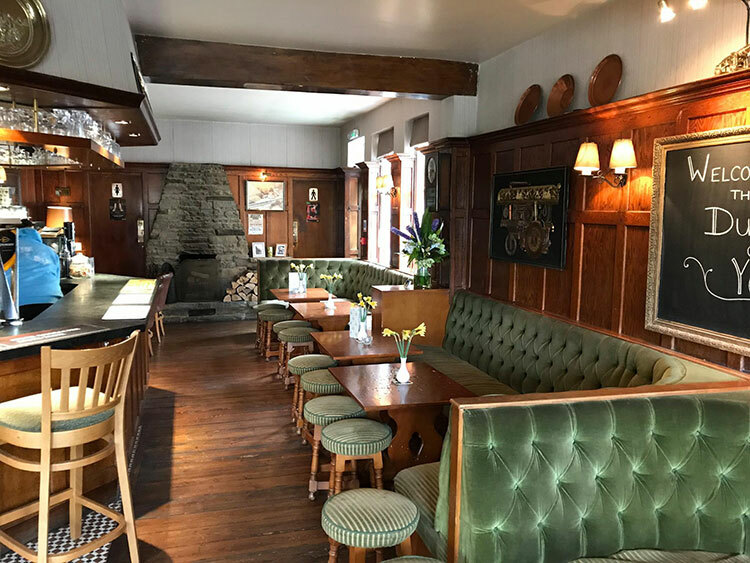 The Chimney House serves outstanding food, a great selection of quality drinks and it ticks many boxes as an unpretentious, rustic, retro and a good all round pub! The perfect pub for a cold winters day. 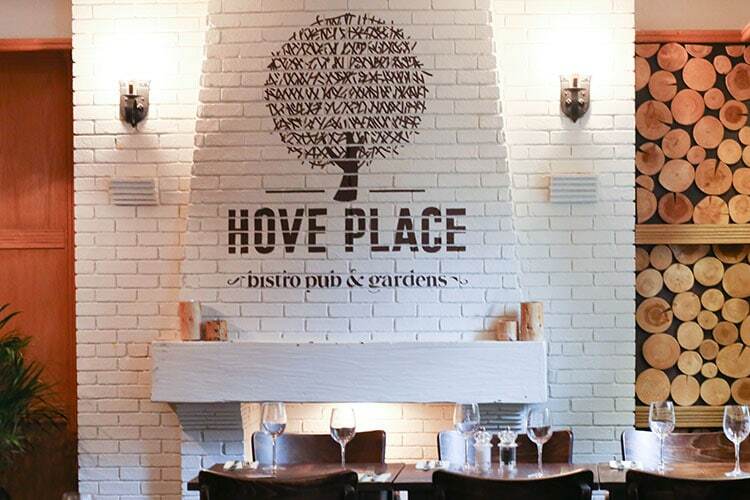 The Hove Place is a popular casual Bistro Pub in the heart of Hove. With a great selection of local ales, quality wines and speciality beers, the back bar at Hove Place offers over 100 well known spirits. The menu at Hove Place showcases the finest British produce created by chef, Phil Bartley, and is served as Small Plates. The Small Plates are ideal for sharing and gives you the opportunity to try a variety of dishes. The Hartington or “Harty” for short, offers a good selection of beers, wines and spirits, great home cooked pub food and regular entertainment nights. 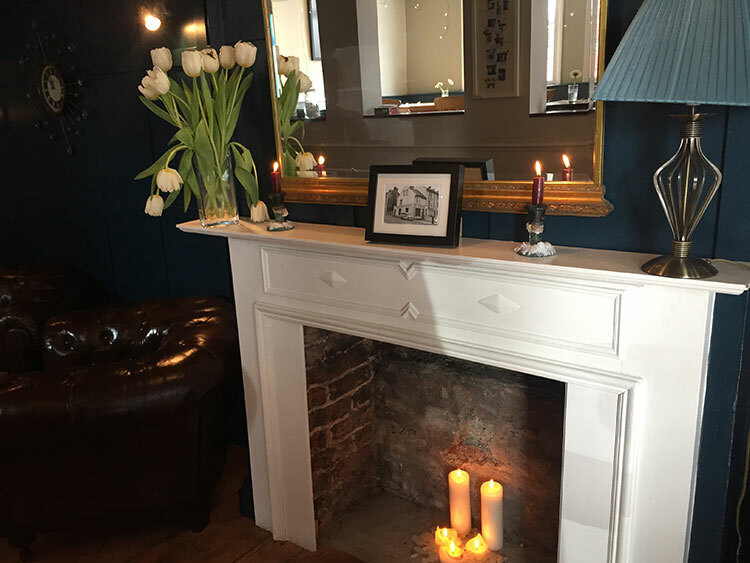 The fireplace at the seated end of the bar is a perfect spot for some cosy, social times in a welcoming neighbourhood pub. Grab a table for a late Sunday lunch, served until 7.30pm with live jazz sessions from 6.00pm for a perfect winter weekend wind down. Billed as a “tap house” rather than a pub, The Western Brighton is a popular spot all year round that serves great drinks and decent food, in a handy location right by the mecca of Churchill Square. With a fantastic selection of some of our favourite beers, the food at The Western is no after thought. Described as ‘Eastern European meets Dirty Western’ the dishes here are provided by the capable hands of catering company Space and Thyme. 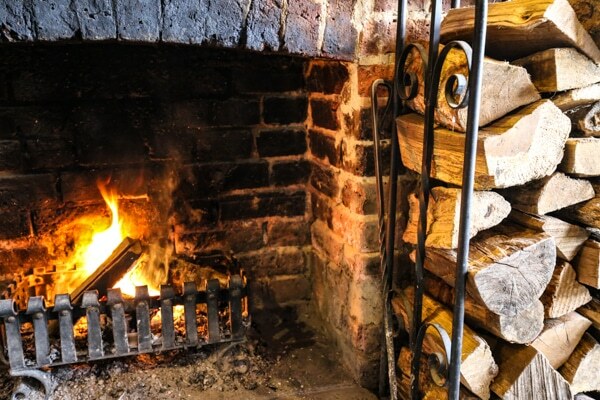 Head down on a cold evening and sit in front of the fire with some good pub grub and a beer. 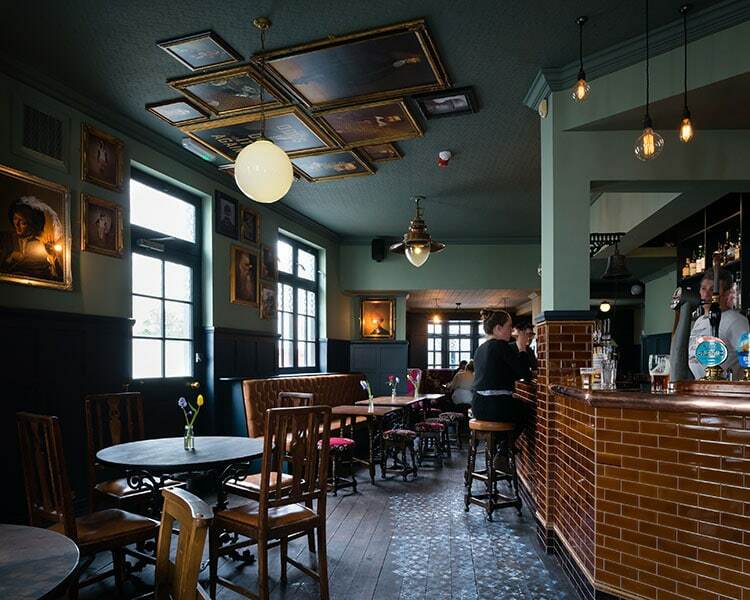 The Independent is a local pub betwixt Queens Park, with its gorgeous villas, beautiful parkland and Hanover Hill – which is well worth a visit alone for its bohemian village in a city feel. In a nutshell, the Independent is a beer, wine & food pub but, perhaps the subtleties run deeper and there are pretty decent cocktails too. You will also find artisan roasted coffee, loose leaf teas, breakfasts, jazz nights and vinyl spins regularly on a lovely Rega turntable. This beautiful old inn in the ‘miss it if you blink’ hamlet of Fulking literally sits at the foot of the South Downs. Which is why it’s huge beer garden is on a very big upwards slope. I did say literally. Although recently refurbished, it has sensibly retained most of it’s 18th century charm including it’s original fireplace and wood burner. The menu ranges from traditional pub classics to fine cuisine. 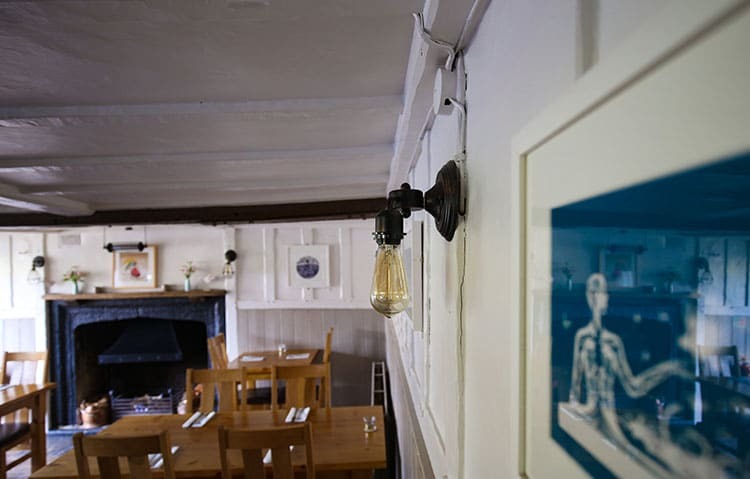 The Sussex Ox is situated in the heart of Sussex countryside between Cuckmere valley and Lullington. 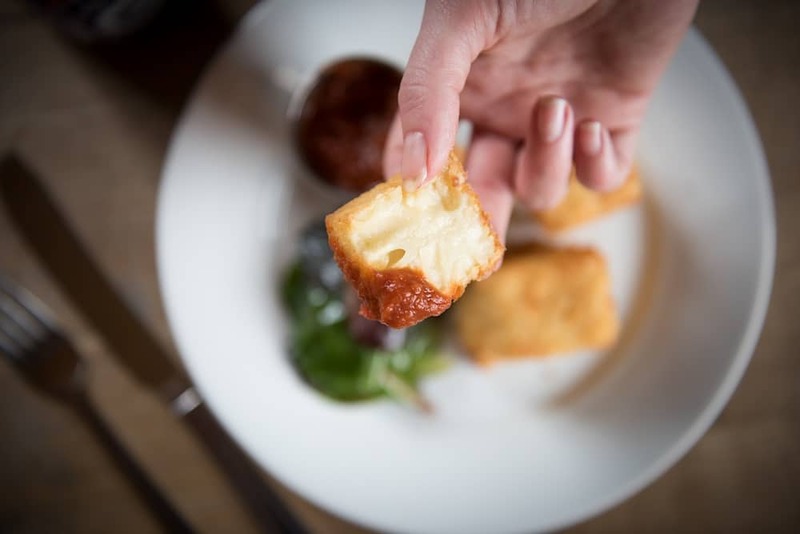 Set in it’s own gardens and farmland, which provides much of it’s menu with fresh, seasonal and very local produce the heart of the pub is no doubt the Old Bar. 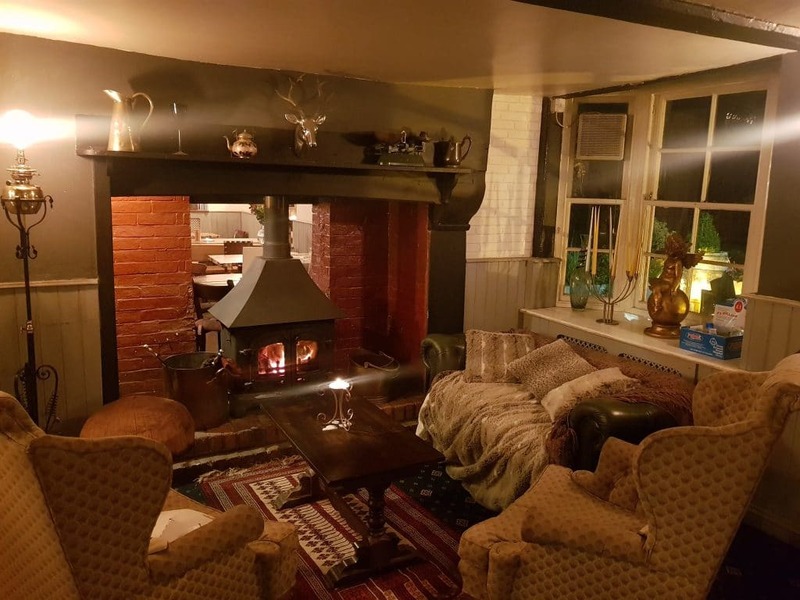 This cosy beamed snug features a brick floor and open fire with a fine selection of local craft ales, beers and ciders as well as an emphasis on bio-dynamic wines. The Wheatsheaf aims to create a welcoming and hospitable experience for it’s patrons and is really well kitted out as an all weather pub. A good sized beer garden with children’s play area is great for summer days and warm evenings, the dining area is light and fresh and the fire is cosily set up with sofas and arm chairs, just like being in your own little country cottage – but with other people and beer on tap. The Rose & Crown is situated in the picturesque village Cuckfield, around 35 minutes from Brighton. Serving modern British food and a great selection of drinks there’s the lounge or main restaurant area you can enjoy your food in. The Rose and Crown’s menu is regularly-changing depending on the seasons and ingredients available. The presentation is top marks and you can enjoy this all in the the warm surroundings of a 17th century coaching inn dining room & bar. Beautiful olde world inn in the sleepy village of Ashurst. A free house and ‘Cask Marque’ accredited, the Fountain has plenty of local ales on offer as well as the more recognised international beers and lagers. Complete with wonky floorboards, inglenook fireplaces and the heart warming smell of homemade cooking wafting in from the kitchen, you will not want to go home. The Crown Inn is situated at Horsted Keynes, just past Lindfield around 35 minutes from Brighton. It’s set in a 16th century building which has been serving this part of Sussex for over 250 years! 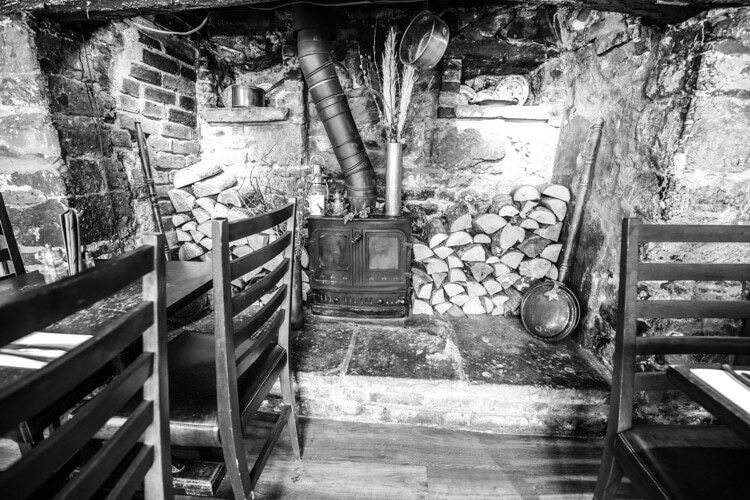 A beautiful spot to cosy up in front of the Inglenook fire and enjoy a winter drink, if you choose to indulge in a few there’s also rooms above the dining room so you can relax for the night – perfect! Don’t miss out on the annual ‘Lighting of the fire’ evening which is always a great community event. The Duke is a great country pub to visit and only fifteen minutes or so outside of Brighton. This venue is just around the corner from Hickstead Showground with lots of country walks in the area. 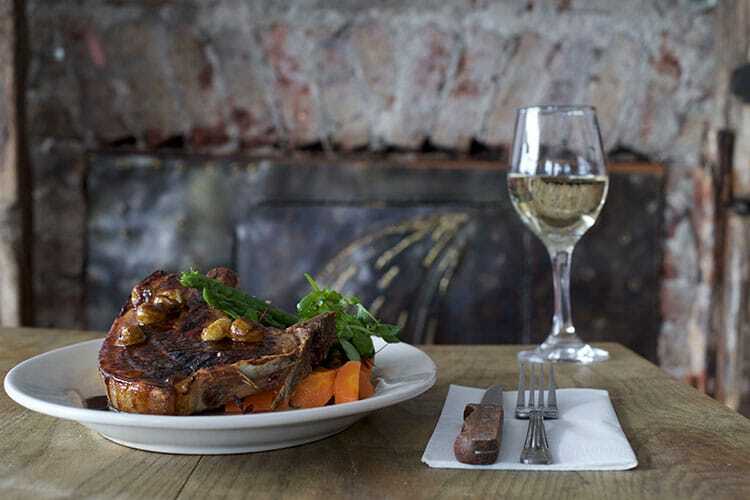 The Duke offers fabulous home cooked pub classics with a modern twist, using fresh and local ingredients. The Head Chef and his team believe in using local suppliers to create beautiful dishes that appeal to all. 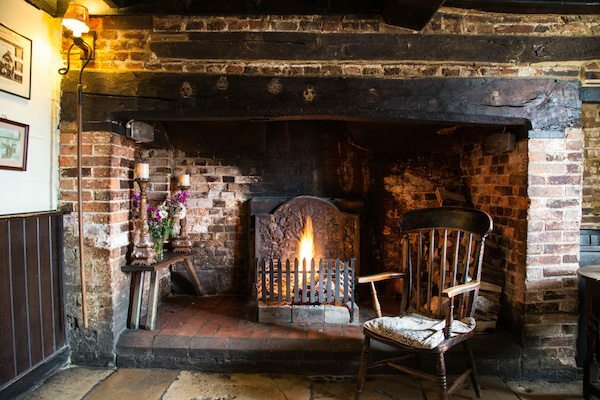 Located just north of Henfield, this traditional style pub welcomes the whole family (including the dog!). With plenty of space and a delicious menu specialising in freshly baked pizza we think this is a venue that will please the kids and adults alike! With over 20 different toppings to choose from, you can mix and match to your heart’s content! If pizza isn’t your thing then you could go for a pasta dish or one of their burgers with homemade coleslaw… or maybe skip straight to dessert! 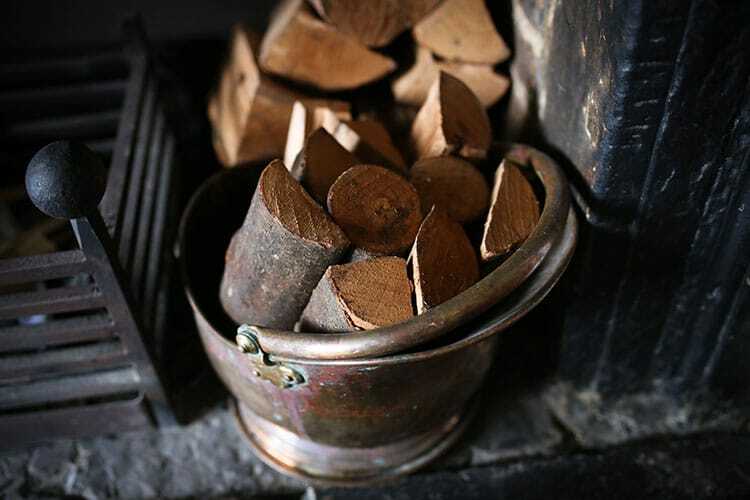 In the winter, the log fire helps to keep the insides of the pub cosy. A well reputed pub in the beautiful hamlet of Poynings situated at the foot of the South Downs by the famous Devils Dyke. A 10 minute drive from Brighton, it’s easy to get to but makes you feel deep in the countryside. Buzzing with loyal locals most nights, it’s one of those pubs where everyone’s welcome. 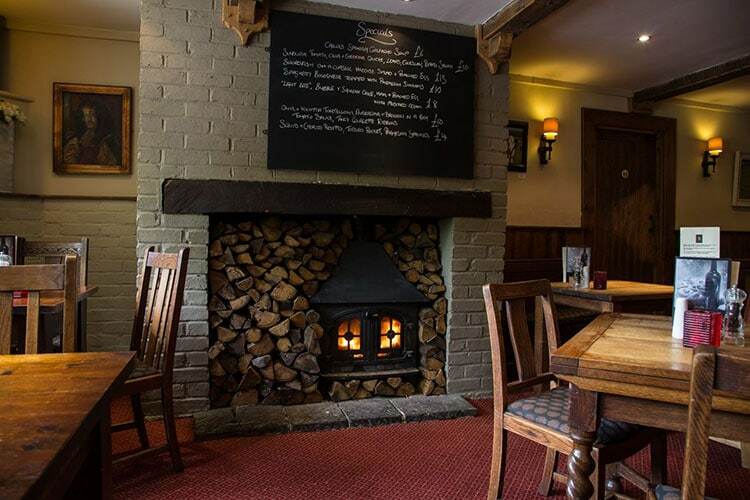 A slightly separate restaurant at the back where you can enjoy the superb sophisticated pub menu and the open fire. 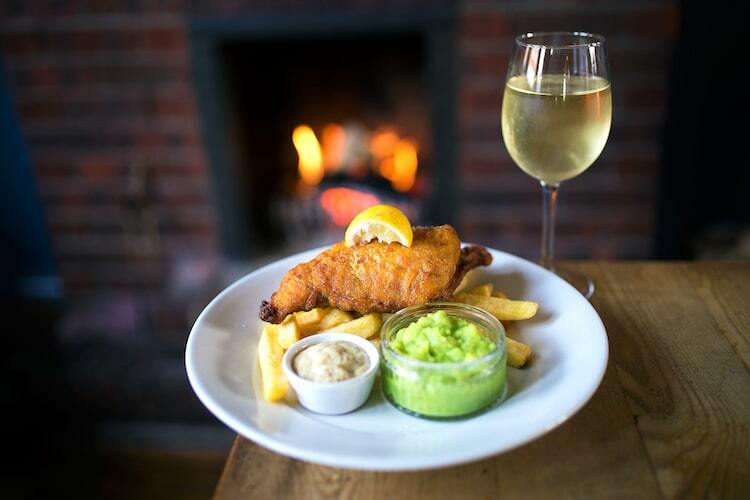 The Schooner is an independent gastropub nestled on the Sussex shoreline between Hove & Shoreham, offering locally sourced meats, fish & seafood. 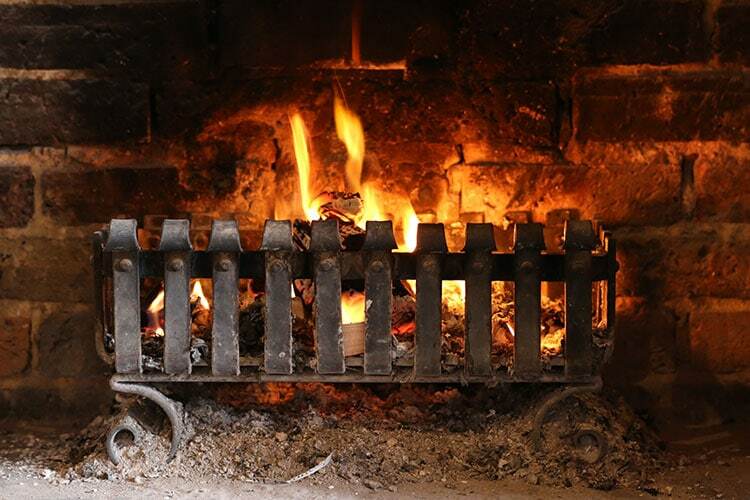 Situated in an 18th Century building with a warm welcome, real fires and stunning panoramic views overlooking lady bee marina & the harbour it’s a wonderful place to spend the evening or a Sunday lunch.